Kid Pecos plays a dance groove in a central place of Holbrook Arizona. Nice outdoor ares to play dances in Petrified Forest National Park areas. Pecos Sound System can play indoors, commercial, club, entertainment zone in the bigger central cities and towns.Working on bringing a few all genre vinyl tunes back in the rotation. Into a wave of older tunes. With a sound system or being a DJ, vinyl collector there is lots of musical drifts to go into. This is why Kid Pecos tries to offer bulk selections. At http://www.pecosdisco.worldpress.com some older disco era selections or being listed. At http://www.kutchielove.wordpress.com an all genre with special close to 1 Genre Categories are being added. At http://www.pecossound.com an all style TL Sound Reggae Dancehall are being added. Kid Pecos plays a few 78 RPM’s for that older mix sound groove. 78 format was around before the oldest 7″ singles. With an over lapping late 1940’s until the complete faze out late 1950’s. The sound or style of the 78 RPM is really something to hear. This being before Kid Pecos days makes knowing it a little more tough. For a music minded collector they have some nice music most of which you do not hear much of today. 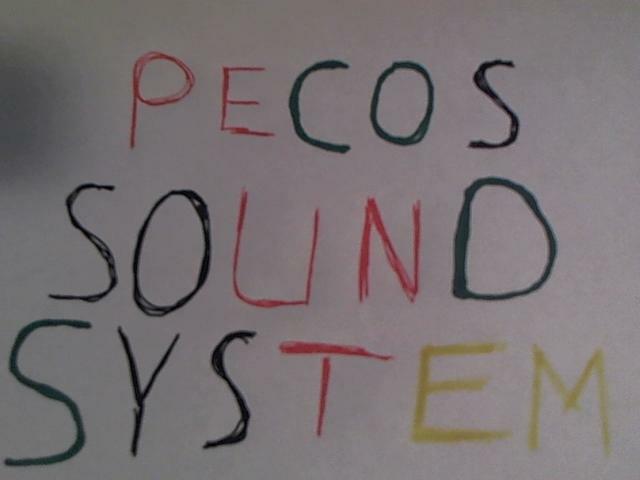 Kid Pecos finds a nice space to play Pecos Sound System. The owner wishes to have an older genre of music played for a loyal group of customers. Kid Pecos will be getting a few selections ready for a vinyl dance set for Old Moe’s Groove who would also like to have some dance & Reggae for the Pecos Sound System Event. Kid Pecos now will be Jammin’ on a Pecos Disco Mixx. With a Mix a DJ wants to create a nice dancing sound for an amount of time. A listening to Mix to spread a musical vibe. Being an all vinyl genre Sound System it depends on the genre of the music. So a sound, DJ needs all type of sounding vinyl or musical format. A Disco Mixx a DJ may want lot’s of 1970’s selections for a focus on the Music. Kid Pecos been bouncing to a few Disco 1970’s and earlier years vinyl lot’s of tunes were very popular in their years of release and beyond. Being at this time close to 30 years after the ending of the Disco Era and the 1970’s you have to add the music that came after the mid 1980’s. Going as far into years for more of a mix than a groove of 1 musical sound. That is what made the Disco Era work they kept adding new styles & songs year to year while returning to older selections. Kid Pecos is into a solid vinyl drift. Working, trippen’ on, listening to a few drifts sort of some knew artist, styles. New vinyl selections seem to expand the way you can understand music. I t helps to pace years of music, artist into broader view. Older selections also can take on a new type of vibe. Now kind of getting more popular selections in a mixx. Some selections may not be quit as popular but the music is really nice. Some songs a Dj may just want to place in the mixx for the music. Older selections are good for listening to to see how to place them in mixx. Kid Pecos has a few good nights at Old Moe’s Groove, nice friendly people enjoying a vinyl dance set. Still in a few rounds of mix genre getting ready for the mixx. Kid Pecos still has lots of items for Jarvis Pecos Flea Market.